Atletico Madrid have finally made Alvaro Morata’s arrival official, the Colchoneros have closed the deal with Chelsea for the next year and a half. There has been a lot of controversy with Alvaro Morata’s imminent arrival to Atletico Madrid, the Spanish striker has a very prominent past at Real Madrid and the Colchonero fans don’t easily forget a player who made them suffer so much during his time there. However, people also tend to forget that Morata was actually a Colchonero before he was part of Los Blancos as he joined the club when he was just a small boy. Morata then decided to leave for Real Madrid, where he made the most of his career and then got the opportunity to become a professional player. Despite having made his debut in Spanish football with Los Blancos, Alvaro Morata didn’t really accomplish everything he wanted with Real Madrid and the lack of participation pushed him out of the club twice already. 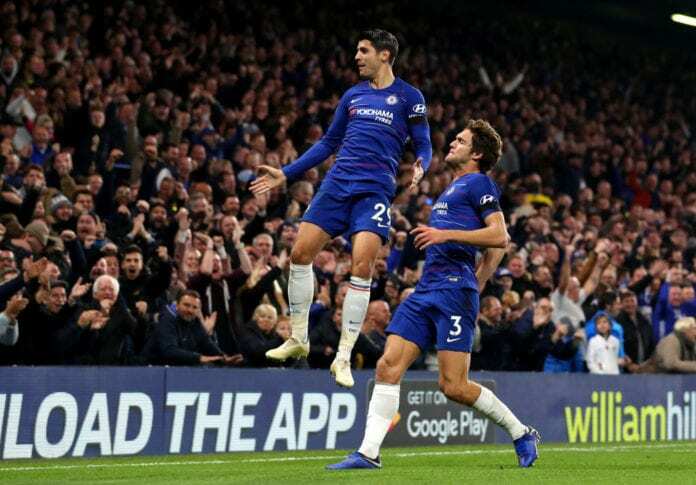 The first time was a loan to Juventus and the most successful period of his career, as Morata was able to reach the 2015 UEFA Champions League final and was an essential part of the squad that won the Serie A and Coppa Italia that same season. When he returned to Real Madrid after such a great period with Juventus, Morata’s ideas were still to become Los Blancos’ most important striker but there were several players up front who were considered better than him. Getting past the heroics of Cristiano Ronaldo, Gareth Bale, and Karim Benzema proved almost impossible for Morata as Zidane never really trusted him to play the position. A lack of patience didn’t let the striker wait for his opportunity any longer, which is why he finally decided to leave Real Madrid for good and he signed a new contract with Chelsea. With the Blues, Morata began a relatively good spell under manager Antonio Conte, but he soon started to play less and less in the squad. There were other great players who actually played more than he did, and the English fans were ruthless against the Spaniard when he did have some playing time at Chelsea. Alvaro Morata’s chances of becoming a top club’s main striker were becoming less likely by the minute and he needed to make another major decision. Now that the Atletico Madrid option presented itself, the player didn’t hesitate and he was announced by the club today: “Álvaro Morata is now an Atlético de Madrid player,” wrote Atletico Madrid on its official website. “Moreover, he has earned 27 caps for Spain, netting 13 goals. With Morata’s arrival, we add a very talented striker to our club, who has the ability to score with his feet and his head thanks to his height (189 cm) and to combine with his teammates,” they concluded. What do you think about Morata’s arrival to Atletico Madrid knowing that he was a Real Madrid player for so long? Please share your opinion in the comment section down below.